Get Your Aria Rose Jewellery Designs From Devi Jewellers Now. 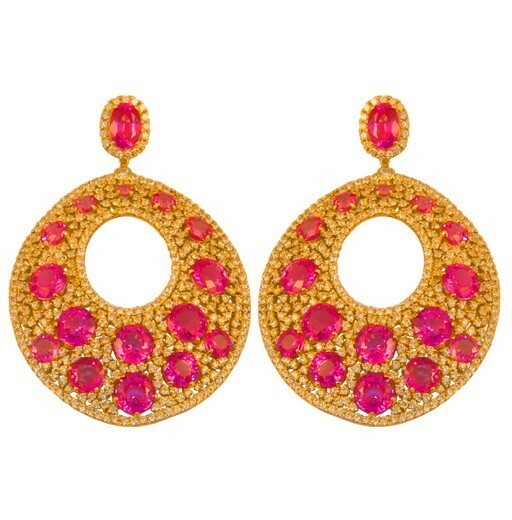 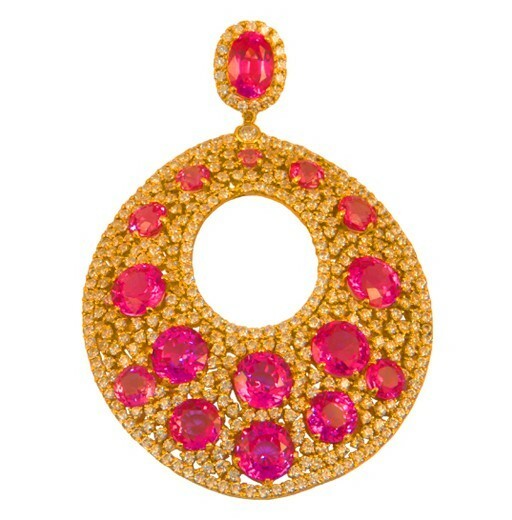 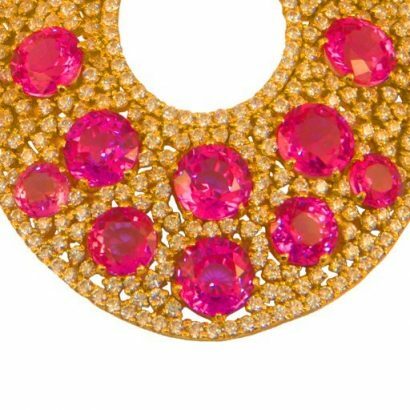 A 22 karat ornate heritage earring inlaid with pink Swarovski and detailed exquisite workmanship. The curve and flow of the piece brings out the vintage inspirations of the craftsmanship and design.